You love your dog and only want the best for them, so you feed them the best food available to you. But, how do you know if the dog food you choose is healthy for your best friend? The supermarket is filled with dog food brands all promising to help your dog be happy and healthy. Out of the hundreds of brands out there, how can you choose? Sure, you can try a different foods, but there must be a better way to find the right dog food brand for your furry friend. Fortunately, you’ll find reviews of many different dog food brands online. These reviews will help you narrow down the options and decide what food is best for your dog. If you delve into these reviews, what will you find? You’ll discover several highly-rated brands, among them, American Journey Dog Food. 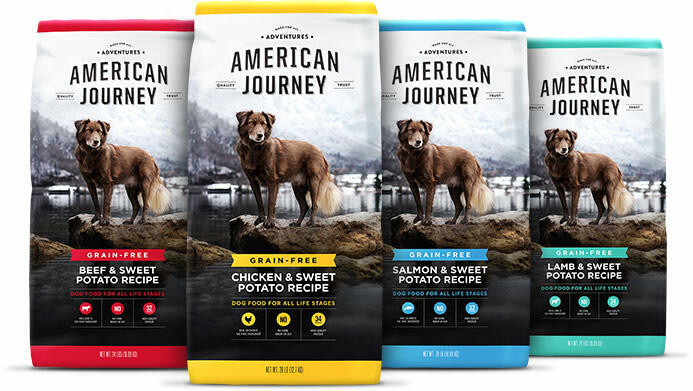 American Journey is a brand made by Chewy Incorporation, and it produces meat-based, corn-free or grain-free dog food in a variety of formulas suitable for several dog sizes and ages. Follow us as we review American Journey Dog Food and see if this is a brand worth introducing to your dog. What Makes American Journey Dog Food Unique? So, what makes American Journey Dog Food unique and why is it worth a look when you’re shopping for dog food? American Journey produces a wide variety of dog foods, some are grain-free, and some are made with brown rice, all are free of poultry by-product meal, soy, and wheat. They even have a few limited ingredient recipes for dogs who have sensitive digestive systems or are allergic to certain common dog food ingredients. Regardless of the variety, American Journey Dog Food always has a formula starting with real meat. The product website says they include omega-3 and -6 to help your dog have healthy skin and a healthy coat. American Journey makes sure to include a balance of minerals and vitamins to promote bone and tissue health and proper growth. American Journey Dog Food contains several important and commendable ingredients such as salmon oil, chicken fat, and flaxseed – all of which provide this dog food with high quality versions of needed nutrients. According to experts at Dog Food Advisor, American Journey dry dog food appears to be an exceptionally nutritionally-balanced, meat-based dog food and they recommend it highly. Additionally, to their knowledge, American Journey Dog Food has never been recalled for any reason. So, if you’re looking for a meat-based dog food without corn or soy, with a formula that always starts with meat as its first ingredient, American Journey Dog Food looks like a brand you should consider for these unique traits alone. American Journey Dog Food seems to have the right ingredient profile, but how much does it cost? Is it worth the price? This brand is sold exclusively on Chewy’s website, and while the site has special deals to reduce the price of American Journey Dog Food, the price is on the higher end of the average price for a bag of dog food. Standard Formula: Their standard formula made with chicken, beef, lamb, or salmon and brown rice comes in a 28 lb. bag and costs between $34.99 and $36.99, depending on protein type. Grain-free Formula: Their grain-free formula is made with chicken, beef, lamb, or salmon and sweet potato and comes in a 24 lb. bag. It costs $39.99 for every protein type. Limited Ingredient Formula: Their limited ingredient formula is made with salmon, lamb, duck, turkey, or venison and sweet potato. It comes in a 24 lb. bag and costs between $44.99 and $59.99, depending on protein type. Puppy Formula: They have a grain-free puppy formula with chicken or lamb and sweet potato. It comes in a 24 lb. bag and costs $39.99. Large Breed Standard Formula: Their standard large breed formula comes in chicken or salmon and brown rice. It comes in a 28 lb. bag and costs $34.99. Large Breed Grain-free Formula: They have a grain-free large breed formula with chicken or salmon. It comes in a 24 lb. bag and costs $39.99. As mentioned above, Chewy’s website offers a special deal. If you choose to order and automatically ship the food on a schedule, you can save about 10% on each bag. This discount still leaves American Journey Dog Food on the high end of average dry dog food prices, so keep that in mind, if you are a budget-conscious shopper. What do other reviews say about this product? What do other consumers think about this product, and do dogs eat it? Well, as mentioned above, the experts at Dog Food Advisor recommend American Journey Dog Food with some caveats. The first ingredient is meat, so it ought to be the ingredient making up the highest proportion of the formula. However, since the manufacturer doesn’t specify if the meat is cooked or not, we don’t know if meat stays the main ingredient after processing. Also, American Journey’s grain-free formula contains peas and chickpeas, and although these ingredients are high in carbohydrates, they’re also high in protein. This makes it difficult to determine the actual meat content of this formula, since some proportion of the total protein comes from plant sources. Dog Food Advisor mentions the controversy surrounding another ingredient in American Journey’s ingredient list, beet pulp, which some argue is just a cheap filler. Others say it does have nutritional value as a source of dietary fiber. Dog Food Advisor doesn’t fault American Journey for including beet pulp, though. Lastly, Dog Food Advisor discusses the inclusion of pea protein, which is another plant-based protein in American Journey’s ingredient list. This substance is around 80% protein, but since it’s plant-based, it serves as another complicating factor in determining the actual amount of meat in this dog food formula. The Clean Label Project, which measures toxic or disease-causing substances in household items such as pet food, gave American Journey a 1.5-star rating. This low rating is due in large part to the amount of toxic metals found in their dog foods. They found this brand also had a moderate amount of BPA and BPS in it and moderate ingredient quality. On the positive side, they found American Journey had very little antibiotic and pesticide residues. Some professional reviews mention the fact that American Journey Dog Food is limited to only dry dog food and is only sold on one website, so far. Since other brands have expanded into wet food and cat food, this limits American Journey’s customer base. Similarly, customers like bargain-hunting, and they can’t do much of that with this brand. Customers seem satisfied with American Journey Dog Food. Overall, the reviews on Chewy’s website under each dog food variety are overwhelmingly positive. Several reviewers mentioned that their pets had food allergies that required food with special ingredients, and they were happy that American Journey had a formula their dog would eat. Others said their dogs were picky eaters with other brands, but they ate American Journey Dog Food without any issues. Another common praise for this brand is that owners noticed significant improvement in their dogs’ coats. They experienced less shedding and their dogs had shinier coats while eating American Journey food. Some reviewers mentioned having positive experiences with customer service and praised American Journey for being an economical choice for dogs with special dietary needs. On the negative side, some customers said their dogs wouldn’t eat this food. Some said their dogs would eat certain varieties of American Journey Dog Food, but they turned their nose up at others. Other customers said their dogs liked the food, but they had to feed their dogs more than the serving size recommended because their dogs were still hungry. One review mentioned the fact that almost all the American Journey formulas use some form of chicken, whether it’s the primary protein source or not. This could be an issue for dogs with a chicken allergy, as it means most of the American Journey Dog Food flavors are not permissible. The negative reviews from customers were few and far between, though. Overall, most customers seemed happy with this brand. American Journey Dog Food is most often compared with Blue Buffalo brand dog food. 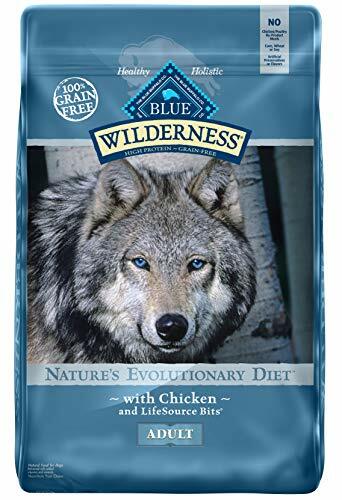 In some customer reviews, they mentioned that Blue Buffalo was a bit cheaper than American Journey and if their dogs liked both brands, the customer would rather choose the cheaper food. In a side-by-side comparison with Blue Buffalo, American Journey Dog Food has more crude protein, but less fat and carbohydrates. Many dog food formulas contain controversial ingredients believed to cause health issues for your dog. While both foods use pea protein and tomato pomace, which are controversial ingredients to some dog food experts, Blue Buffalo uses more controversial ingredients than American Journey. Several dog foods on the market have been recalled for various issues. Fortunately, American Journey has never been recalled, to date. Blue Buffalo pet foods have been recalled at least 9 times since 2007. Blue Buffalo dog foods have a distinct advantage in that you can buy them in supermarkets everywhere and on 8 different websites. Perfect for bargain hunters! American Journey Dog Food, on the other hand, is available only on Chewy’s website. Blue Buffalo also has formulas entirely based on vegetable proteins, since dogs are omnivores, like humans. If you don’t think eating meat is ethical and want a healthy way to include your dog in the vegan lifestyle, Blue Buffalo can help you accomplish this. American Journey Dog Food formulas are all meat-based, with no vegetable protein options. 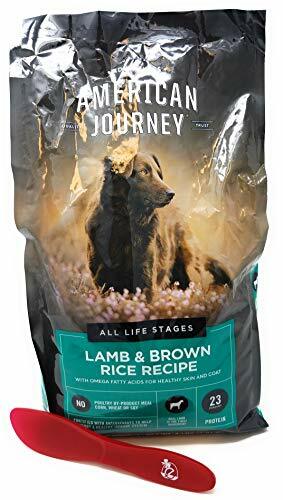 In terms of variety of formulas, Blue Buffalo definitely has American Journey beat, with 81 dry dog food recipes compared to only 19 from American Journey. Bear in mind American Journey is a newer company than Blue Buffalo and hasn’t been making dog food for as long, so with time, American Journey will likely expand to have more varieties of dog food, dog treats, and maybe even move into cat food. So, after learning about what makes American Journey Dog Food unique, reading countless customer and expert reviews, examining the price point, and comparing it to other dog foods on the market, what do we think of American Journey Dog Food? Well, American Journey has unique corn- and soy-free formulas for the conscientious pet owner. It also has grain-free options if you don’t want your dog eating any form of grain, and limited ingredient formulas for pets with allergies or food sensitivities. 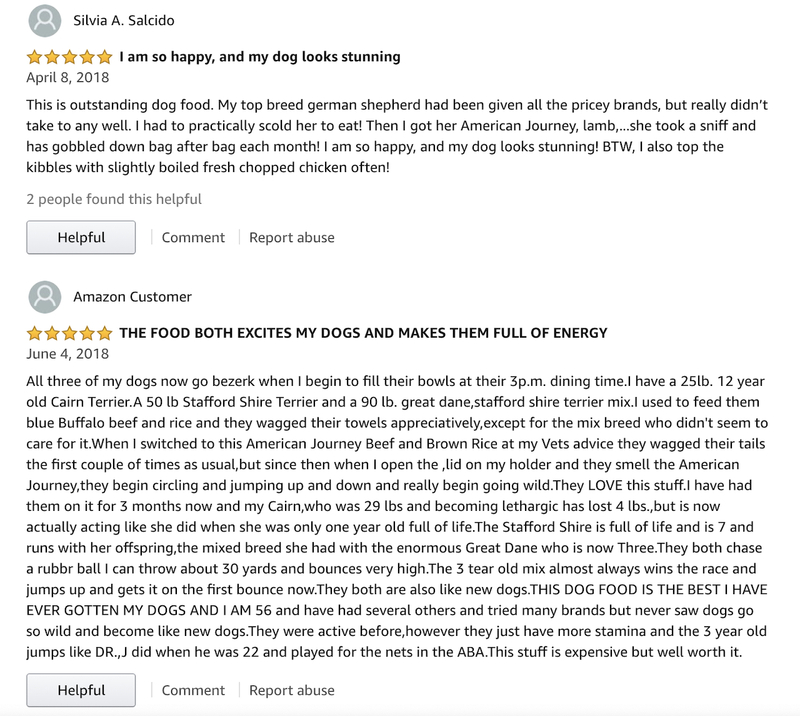 It may not have as many varieties as more well-established brands like Blue Buffalo, but customer reviews for American Journey Dog Food products are overwhelmingly positive. The company will surely expand their pet food varieties as they grow in popularity. Like many consumers, you may enjoy the convenience of ordering pet food online and having it delivered to you. On the other hand, you may prefer the convenience of being able to go to your local supermarket to purchase dog food anytime you need it without having to wait for delivery. If you prefer the latter option, American Journey Dog Food may not work for you. Some consumers reported that their finicky dog would refuse to eat American Journey Dog Food. 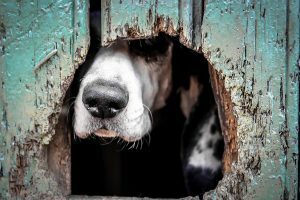 If your dog is finicky, you may encounter the same problem. However, if your dog is prone to food allergies and sensitivities, American Journey Dog Food might be the right choice. Dog food experts recommend American Journey’s formula because it appears to be composed of high quality ingredients in the right proportions to give your dog all the nutrition they need. If you’re concerned about giving your dog food containing high levels of toxic metals, though you might not want to feed them American Journey due to their low score on the Clean Label Project’s report card. Weigh these factors carefully. American Journey Dog Food has a lot of positive points in its favor, but only you can decide what’s right for your furry friend.